My friend Marietta Gentles Crawford wrote a book on the topic, From Nine to Thrive, and I highly recommend it if you want to dig into this theme more deeply. What people say about you and think about you when you’re not around. Many people believe they know, they consider themselves pretty self-reflective, but they aren’t necessarily intentional about how they want to be perceived by the people around them. That creates a major disconnect when it comes to building strong relationships. Why? Because though I don’t believe you need to care what people think about you, you DO need to care about what CERTAIN people think about you. For instance, do you care what your partner or spouse or children think of you? Of course you do! What about your clients and potential customers? If you don’t, you are absolutely limiting yourself in creating productive relationships. 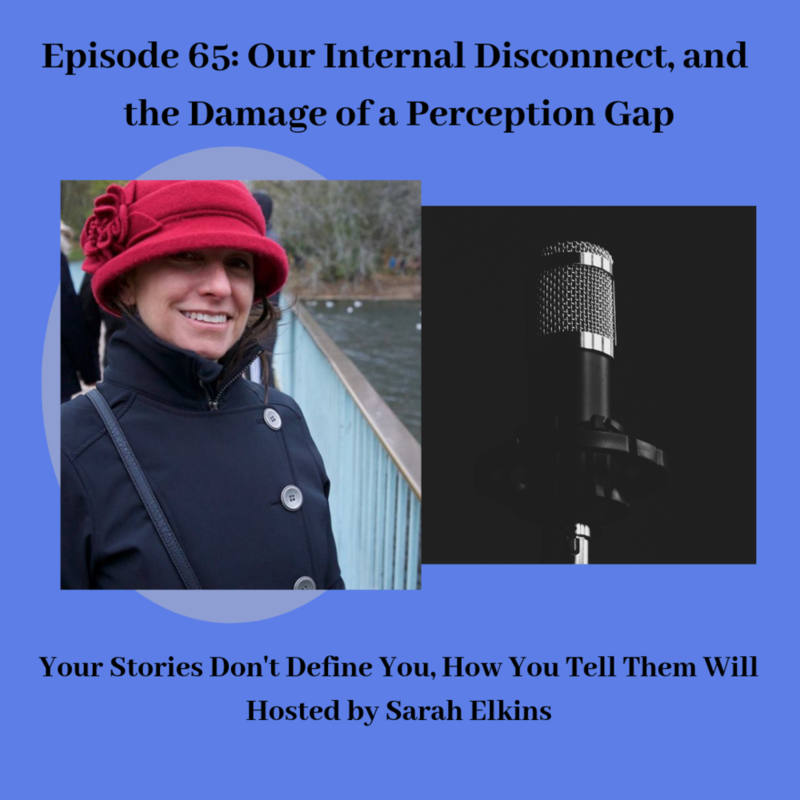 The disconnect for people who know themselves, but don’t understand their own perception gap is that many don’t realize how they might be contributing to miscommunication with people they care about, and how they might be contributing to many of their own obstacles and challenges. And that would be fine if it stopped there. But it doesn’t ever stop there. People in that situation are often lonely, bitter, are self-conscious and lack self-confidence. The disconnect is that they can’t understand WHY they’re lonely, and they blame everyone around them for their problems. The same goes for the colleagues and friends who complain a lot. We have all had experiences with this person, the one that everything seems to happen to: The car accident, the frozen pipes in their house, the dog puking on the carpet, getting fired or passed up for a promotion or new job, the drama with their friends and boyfriend, etc. It’s one thing to come to work sad or in a bad mood once in a while, but when the complaining is consistent, an everyday thing, that changes how people see that person. Do you love to hang out with people like this? Have you noticed that when two complainers have to work together, they often don’t like each other? Even complainers don’t like hanging out with complainers! Often the bullies and complainers in your life know, generally, how people feel about them, but they don’t take the next step to understand their role in that perception. If a bully or complainer decides they are comfortable with the perceptions of others, it would be simpler just to embrace it. If you know you are the complainer or bully, you must also know that being that kind of person is going to impact your relationships. To address the disconnect, you must understand the consequences of owning those traits, and being intentional with your actions and behaviors. When I worked with a bully a few years ago, I started to fall into the trap of negativity, consistently complaining about her to my colleagues. It took a while to realize I was getting more and more angry and depressed – and that I didn’t really like myself, partly because I was not only behaving in a way that didn’t feel good, but mostly because I was THAT colleague – the one who complains and talks behind someone’s back. At some point I realized that I was contributing to my situation and tension with her through my actions and behavior. And from the other side, my boss likely knew there were people talking about her like that, and I wasn’t the only one. She also knew her reputation for being a bully and micromanager, and I know it hurt her. But as far as I knew, she never took that next step of considering her role in that perception, understanding that the common denominator in her trouble among colleagues was her. My husband, Bob, has been riding motorcycles for decades. He uses an obstacle in the road to describe the impact of target fixation on motorcycle driving. When a driver sees a deer or something else in the road, an inexperienced driver will focus intently and with anxiety on the deer or obstacle, and will most likely hit it. An experienced driver will be aware of the deer or obstacle, but will focus on the area around it so he can find a solution or alternative to avoid the obstacle. We can use golf as another analogy here. A good golfer is well aware of the sandtraps, water, and trees between her and the hole she’s aiming for, but uses positive target fixation by focusing her attention on the hole she wants to put the ball into, not the obstacles. The same can be done when you are making changes and shifting the way you speak and think to improve your relationships. Focus on things that are going right, the things you’re grateful for, the things you do really well. Ever notice that when you’re considering buying a car, and you’ve narrowed down your choices to, say, an orange Subaru… suddenly you start seeing orange Subarus all over the place? That’s because what you focus on is eventually what you start seeing everywhere. So focus on the positives, the things you’re grateful for in your life (start small, like being glad for the green lights when you’re running late.) You can be aware of the obstacles for sure, but don’t focus on them. If you’re struggling with someone at work, consider whether you’ve been there before. Are there other situations from your past that you had a similar issue? As you begin to identify patterns of struggle with certain people in your life, at work and in personal relationships, think about whether those people all have a certain trait in common. Are they all generally one gender? Do they lack self-confidence? Do they remind you of a parent or sibling you have a difficult relationship with? Consider how your behavior might either be attracting this kind of person, or contributing to the tension in those relationships. When you see a pattern emerge, think about what actions and behaviors you can consistently adjust – every day, and with every person – to be a person they want to spend time with. When I found a great job early in my career, I couldn’t believe my luck. I was sure I didn’t deserve the position I had been offered. I was so excited for the first few months in that position, doing everything I could to impress the people around me. When a known bully in the organization casually mentioned here concern that I wasn’t qualified for my job, and she couldn’t imagine why they hired me, I started to second-guess my work. Every time I’d complete a task, I’d get intensely self-conscious about my work and it would take me twice as long as it should because I’d be digging into it to find errors. At some point, this became overwhelming, and my inner critic was screaming at me that I didn’t deserve that job. Someone more qualified would be better, and my colleagues would be better off without me on the team. So my work deteriorated. I was self-sabotaging because I didn’t think I deserved my job and the encouragement I had received from my boss and other colleagues. But here’s where self-reflection becomes so powerful. I noticed that as my work deteriorated, my relationships with my colleagues also deteriorated. I knew I was letting them down. It took a few weeks to see this situation from that perspective, and I had a very close friend to talk through it and process the dynamic out loud. My “ah ha” moment was when I realized it was my choice to be the person who deserved that job and the support and encouragement of my colleagues. It was my choice, every day, and with every task, to earn the life, reputation, and relationships I wanted. The best part is that no matter what happened prior to my decision to shift things, I could start right away, with something as simple as showing up for work on time. It would take time to repair the damage I had done, but with every single interaction, I would be intentional about being the person who deserved the life I was living. What patterns emerge when you consider the relationships in your life that cause you grief and struggle? What might have been your role in those relationships? What patterns emerge when you consider the most healthy, productive relationships in your life? What did you do that helped build those relationships? How do you want to be perceived by the people around you? And what consistent actions and behaviors can you use to demonstrate to others that you are someone who deserves – and who earns every day – the life you want to live?